Series: Art & Design S.
Produced in close cooperation with the Klee Foundation in Bern, this catalogue gathers together the artist's outstanding masterpieces of the years 1917 to 1933. This extraordinary survey, which includes works which Klee originally intended to keep for himself, has been made possible by loans from the collection of Angela Rosengart in Lucerne, the Klee Foundation in Bern and many private collectors. Many of these works are being presented to a wide audience for the first time. 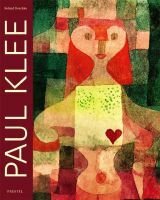 Klee is widely seen as one of the most original artists of the twentieth century. Together with Feininger, Kandinsky and Jawlensky, he founded the Blue Four group, and had a decisive influence on artists such as Miro and Delaunany. The years 1917 to 1933 were the most productive in Klee's work.